WRTC 2018 in Germany: 500 Days and Counting! Now-former Federal Emergency Management Agency (FEMA) Administrator Craig Fugate, KK4INZ, told a US House subcommittee this week that the agency needs to have a new and experienced administrator soon, or it could lose its forward momentum. That sentiment was echoed by House members during a February 28 hearing on FEMA's future held by the House Homeland Security Committee's Emergency Preparedness, Response, and Communications Subcommittee. Former FEMA Chief Craig Fugate, KK4INZ, testifies during a House subcommittee hearing on February 28. "It's not a good job to do on-the-job-training," Fugate told lawmakers. "It's too brutal, and the citizens deserve better." He said that whoever ends up heading the agency should understand that FEMA's role in disaster response "is not about putting FEMA in charge." "My parting advice for the FEMA team was to continue going big, going early, going fast, and being smart about it," Fugate said in his written testimony. The new FEMA head should build upon "the strides the agency has made since [Hurricane] Katrina." During his time at FEMA, from 2009 until this January, Fugate was a strong supporter of Amateur Radio as a communication resource in disasters. The hearing was the second in a series that will provide recommendations to the next FEMA Administrator. Former FEMA Administrator R. David Paulison also testified. The officially vacant position is being filled for now by Robert Fenton Jr., FEMA's Region IX administrator. In a recent interview on HamRadioNow, Fugate focused on Amateur Radio's role in disasters, explaining to host Gary Pearce, KN4AQ, how he became familiar with emergency management from the ground up, first as volunteer firefighter and paramedic in Florida, and then as head of Alachua County's emergency management program for 10 years. That experience, he said, "was my first intersection with Amateur Radio." He eventually self-studied for his license and passed the test after arriving in Washington. He told Pearce that FEMA supports state, local, and tribal governments in emergencies and disasters, and will work with whatever resources are available. While it has taken advantage of radio amateurs and signed a Memorandum of Understanding with ARRL in 2014, the agency looks at Amateur Radio "a bit differently." "We'll work with whoever's up and operating," said Fugate, who has not quite taken off his FEMA hat. He said that could be an ARES group, a RACES group, or an individual radio amateur who may have key information coming out of an area hit by an emergency. "Training is great," he told Pearce. "We shouldn't think it's exclusionary." He said FEMA needs to remain open to any Amateur Radio resource available, "because that person may be the only one up and running." Fugate told Pearce that under his watch, FEMA tried to be inclusionary, taking advantage of the entire spectrum of radio amateurs, not just the institutionalized emergency communication organizations. "If you have the luxury of being exclusionary," he said, "it's probably not a bad disaster." Fugate said that while he favors formal emergency communications training, those completing the courses may not always be available when a disaster strikes. Fugate said now that he's home in Florida, he is hoping to have more opportunities to pursue his interest in digital modes. He belongs to the Gainesville Amateur Radio Society (GARS). Dayton Hamvention® has announced its 2017 award winners for Amateur of the Year, Club of the Year, and Special Achievement. Each year, Hamvention honors radio amateurs who have made major contributions to the art and science of Amateur Radio. Amateur Radio on the International Space Station International Chair Frank Bauer, KA3HDO, of Silver Spring, Maryland, is Hamvention's 2017 Amateur of the Year. Bauer has been a driving force behind the program since its inception. He also serves as AMSAT-NA Vice President for Human Spaceflight. In the mid-1990s, Bauer proposed an experiment to have the high-Earth orbit (HEO) AMSAT Phase 3D satellite (AO-40) measure the signal strength of the GPS satellite constellation. The AO-40 experiment subsequently has been cited often in aerospace literature, as it remained the most comprehensive above-the-constellation data source for nearly a decade and led to changes in the system's specifications and applications. The results of the AO-40 experiment jump started a game-changing transformation in navigation at HEO/GEO altitudes, enabling new and exciting missions in these orbits. 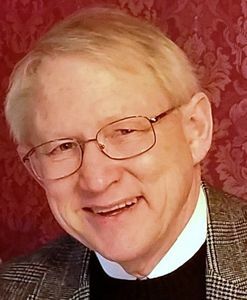 A radio amateur since 1974, Bauer holds bachelor's and master's degrees in aeronautics and astronautics from Purdue University. His career in aerospace spans 4 decades at NASA and within private industry. The Clark County Amateur Radio Club (CCARC) of Vancouver, Washington, is the Hamvention Club of the Year for 2017. Established in 1930, the club serves southwest Washington and northwest Oregon. CCARC has been an ARRL-affiliated club since 1932, and is an ARRL Special Service Club. The club is active in community service. Under the club's W7AIA call sign, CCARC members participated in eight public service activities last year, running up more than 1,500 hours of volunteer service. In 2016, the CCARC licensed 95 new hams. It periodically holds "Ham Basics" classes for new licensees and offers a dynamic Elmer program. It also holds monthly interest meetings such as the "Digital Group," an open forum to discover and explore the many types of digital modes. This meeting typically draws hams from other areas. The CCARC created the pioneering EYEWARN® program to provide visual situation reports to emergency managers. This program encourages all hams in the county to "report what they see, where they are" in a disaster. S. Ram Mohan, VU2MYH, of Hyderabad, India, will receive Hamvention's 2017 Special Achievement Award. Mohan is the Executive Vice Chairman and Director of the National Institute of Amateur Radio (NIAR) in Hyderabad, India. Licensed since 1988, he has conducted a number of experiments on HF and VHF communication equipment and carried out propagation tests, organized training programs, DXpeditions, workshops, and general Amateur Radio activities, including public service communication. 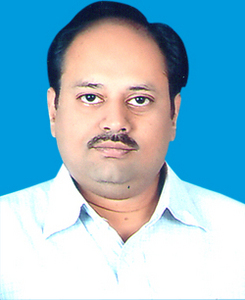 As Chief Investigator for the Department of Information Technology, Government of India-funded Pilot Projects, he has successfully implemented programs on digital connectivity to urban, rural, and remote areas through Amateur Radio, as explained in his "Study on Propagation Conditions in Coastal Areas and Advanced Digital Amateur Radio Communication Network." Mohan has led many emergency communication operations, including the Nepal earthquake in 2015, Cyclone Hud in 2014, the Uttarakhand Floods in 2013, the 2009 Cyclone Alia disaster in West Bengal, the Indian Ocean tsunami in 2004, the Gujarat earthquake in 2001, and the Orissa Super Cyclone 1999. Rob Brownstein, K6RB, is the recipient of the Hamvention 2017 Technical Achievement Award. Licensed in 1958 at age 11, Brownstein could hardly wait to upgrade to General and get on SSB, but he soon discovered that he enjoyed operating CW much more. So, he put his microphone aside and never looked back. 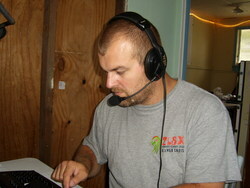 In January 2010, Brownstein was among about a dozen hams on several continents who founded the CW Operators Club (CWops). In 2012, he was elected president of CWops and served two consecutive terms. During his tenure as president, Brownstein encouraged and participated in all aspects of the club, from ragchewing and contesting to mentoring, through CW Academy, begun in earnest in 2012. Since then, the Academy has mentored more than 800 radio amateurs through its beginner, intermediate, and advanced CW courses. "CTCSS, DTMF, and More" is the topic of the just-released episode of the "ARRL The Doctor is In" podcast. Listen...and learn! Pointing out that World Radiosport Team Championship 2018 (WRTC 2018) in Germany is only about 500 days away, the event's all-volunteer Organizing Committee reports that while many necessary tasks are out of the way, much more work remains. So far, among other things, it has wrapped up the qualification process, drafted official rules for the WRTC 2018 competition, evaluated 160 possible station sites, selected and tested antennas and antenna-related gear, completed the first major round of testing, and inked several contracts with major sponsors. Probably the top priority at this point is to secure the remaining 40% of necessary funds to mount the international Amateur Radio competition in the Jessen-Wittenberg region near Berlin. "Several of the component projects are approaching a stable state; however, some projects are requiring more work than expected," WRTC 2018 announced on February 26. "We are on schedule and are proud to be the host. A great number of volunteers support the organization of the WRTC and dedicate many hours of their time for this very special event." Christian Janssen, DL1MGB, is the WRTC 2018 president. "For me as a part-time organizer of DXpeditions, WRTC 2018 is like 65 DXpeditions; a major difference is that we don't have to travel anywhere in 2018, rather, the world comes to us!" he said. "For me, WRTC 2018 is a perfect, unrestricted way to bring together a lot of different ham radio groups into one large project." Committee member Rudy Schwenger, DJ3WE, who is among those with fundraising responsibilities, said high expectations worldwide regarding the committee's organizational skills is one thing that "occasionally makes me sweat," especially given that "we are up to now a very small group, too small." WRTC 2018 President Christian Jannsen, DL1MGB. Ben Buettner, DL6RAI, is overseeing IT services for WRTC 2018. "We are happy to have built a great team that maintains several different websites, provides 65 logging computers for the online-scoring function, and created a custom web-based application to manage data and documents of the 65 different sites," he remarked. "Expectations are high, and we are working on meeting them." A World Radiosport Team Championship features approximately 60 two-person Amateur Radio teams competing in a test of operating skill. The event is concurrent with the IARU HF Championship in July, although WRTC rules vary from those of the IARU contest. All stations use identical antennas and power levels and operate from equivalent sites within the same geographical region in an effort to eliminate all variables except operating ability. The last such event was WRTC 2014 in New England. Read more. Commenting in a UK regulatory proceeding, the Radio Society of Great Britain (RSGB) has taken issue with assertions by telecoms regulator Ofcom that the agency "advises and assists spectrum users to help resolve harmful interference." RSGB said that, while Ofcom does advise complainants from the amateur community and elsewhere, it is "usually only to the extent of advising that they can do nothing and have no further interest in the case." The regulator rarely uses its statutory powers to assist, RSGB said, responding to Ofcom's proposed 2017-2018 Annual Plan. "Several commentators felt that was insufficient for the challenges facing the threats to the radio spectrum," RSGB said. "Since then, the spectrum has become steadily more polluted as the number of non-compliant and faulty pieces of electronic apparatus and equipment has risen, coupled with Ofcom's reluctance to act against them, while spectrum use has continued to grow. Instead of rising to the challenge, Ofcom has in fact constantly reduced staff until it now claims to have just 30 field engineers for the whole UK. In our view, this is short-sighted and inadequate." Ofcom has masked this inadequacy, RSGB contended, by raising the noise threshold for technical assignments for commercial licensees, something it cannot do for the Amateur Service. Meanwhile, the sources of interference to radio amateurs "are manifold and increasing," RSGB said, citing more recent developments as wind farms, domestic solar arrays, and VDSL as the cause of "severe problems." RSGB said Ofcom's typical response "is to merely check that the individual components are CE marked" and don't acknowledge that the electromagnetic compatibility (EMC) regulations require that apparatus must be compliant when it's first placed into service. RSGB said it hoped that Ofcom would reappraise its proposals with respect to interference resolution, "taking a more positive line and promising to increase resources." Read more. The 10th SpaceX International Space Station cargo resupply mission delivered investigations to study human health, Earth science, and weather patterns last Thursday. It also carried a new Ericsson 2-meter handheld radio to replace one that failed a few months ago, disrupting the Amateur Radio on the International Space Station (ARISS) program. The VHF radio in the Columbus module was used for school group contacts and for Amateur Radio packet, temporarily relocated to UHF after the VHF radio failure. 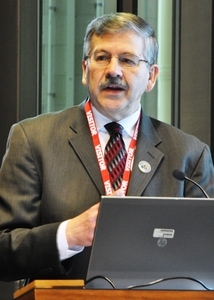 ARISS International Chair Frank Bauer, KA3HDO, said the new Ericsson radio will, at some point, be installed in Columbus, replacing the Ericsson UHF radio now supporting APRS packet and some school contacts. Bauer made it clear that the new Ericsson transceiver is an interim measure for ARISS. 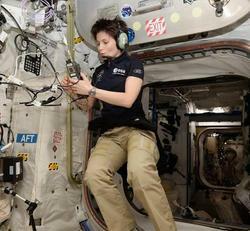 ESA Astronaut Samantha Cristoforetti, IZ0UDF, using the Ericsson VHF transceiver before it failed last fall. "ARISS is making great progress on the development of the new interoperable radio system that we hope to use to replace our aging radio infrastructure in the Columbus module and the Service module," he said. "The hard -- and expensive -- part of this effort is just beginning, with testing and human [spaceflight] certification on the horizon." ARISS was able to shift school contacts from NA1SS to the Kenwood TM-D710 transceiver in the Russian Service Module. Cosmonauts use that radio to carry out their ARISS school contacts from RS0ISS. Bauer thanked all of ARISS's partners, which include ARRL and AMSAT, as well as individuals and entities that have donated to the program. 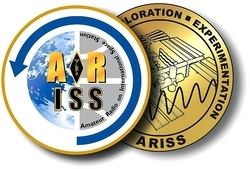 In December, ARISS announced a "notable contribution" from the Quarter Century Wireless Association (QCWA) to help support development and certification of new ISS radio hardware. The Ericsson MP-A VHF handheld transceiver that ISS crew members had used to speak via Amateur Radio with students and educational groups around the world for more than 16 years began displaying an error message last fall, rendering it unusable. ARISS has said ARISS's new JVC Kenwood TM-D710GA-based radio system, once on station and installed, will improve communication capability for students scheduled to participate in educational contacts and related activities. The new system also will allow greater interoperability between the Columbus module and the Russian Service Module. 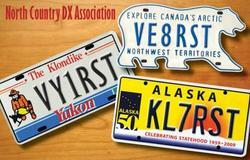 Members of the North Country DX Association (NCDXA) are on the air for the entire month of March from locations in Alaska, Yukon Territory, Northwest Territories, Nunavut, and Greenland using RST-suffix fixed-station call signs. Expected to be active are KL7RST, VY1RST, VE8RST, VY0RST, and OX7RST. The goal is to promote Amateur Radio in northern North America. The 2017 event, the second annual RST operation, features the addition of OX7RST, as well as more rovers and fixed stations, new QSL cards, and certificates. Plans call for operation from a Canadian research station near the North Pole on Ellesmere Island, a diamond mine in Northwest Territories, an Alaskan bush school, and many other locations. Activity will be on all modes, 160 through 6 meters, including 30, 17, and 12 meters. SWLs may participate too. The object is to work or log as many NCDXA RST stations as possible from their various locations. NCDXA RST stations will send a signal report and location. Receiving stations should send signal report and state, province, or DXCC entity. Logs will be uploaded to Logbook of The World (LoTW). More information is available on K7ICE's QRZ.com profile page. NCDXA is also on Facebook. Past ARRL Midwest Division Director Lew Gordon, K4VX, of Hannibal, Missouri, died on February 25. He was 87. Although he had been suffering from cancer, Gordon remained active on the air until his death. Licensed in 1947, Gordon was a veteran of the Korean Conflict. After separating from the service, he attended Purdue University, earning a bachelor's degree in physics. An ARRL Life Member, Gordon served on the ARRL Board's Membership Services Committee, including 2 years as chairman, and on its Administration and Finance Committee. He stepped down from the Board in 2000 at the age of 70. 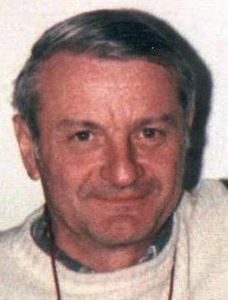 Cliff Ahrens, K0CA, who later also served as Midwest Division Director, called Gordon "a strong advocate for Amateur Radio," who served honorably in the US Air Force and the CIA. Gordon's first love was DX contesting, and during his active contest years as W9APY, W4ZCY, and K4VX, his station made several hundred thousand contacts. Over the years, he also mentored many young contesters, including three-time WRTC co-champion Jeff Steinman, then KR0Y, now N5TJ. Among the other budding contesters that Steinman enticed into the circle of K4VX operators was Dave Patton, NN1N, now ARRL Field Services Manager. The late Bill Fisher, W4AN, was another of Gordon's contesting protégés. Patton said Gordon had a reputation in the contesting world for his high ethical standards, insisting that operators at his station abide by them, especially with respect to not exceeding the maximum legal power output. "His strength of character and contest skills led to his selection as Chief Judge at two World Radiosport Team Championship competitions," Patton said. "I was proud to be a competitor when he was there, and we were sure that the scoring was the best it could be." Gordon has been published in QST, CQ, NCJ, and in several editions of The ARRL Antenna Compendium. He said recently that he'd rather be known for the antenna-design software he wrote -- YagiMax -- and for the various antennas he's designed. YagiMax remains in use worldwide. Patton said Gordon ventured beyond contesting and DXing, equipping a local school with ham gear and teaching classes. "He licensed over 100 kids, and they all had tours of a real radio station," Patton said. "Lew was one of our real true hams, and it goes without saying that he will be missed." Read more. New Section Manager Appointed in West Virginia: Dan Ringer, K8WV, became West Virginia's Section Manager on March 1. He was appointed to succeed Phillip Groves, N8SFO, who stepped down for personal reasons after serving since July 2015. Ringer, an attorney who lives in Morgantown, will serve the remainder of the current term of office, which ends on September 30. An ARRL Life Member, Ringer serves as an Assistant Section Manager, Volunteer Counsel, and Local Government Liaison and is a past Assistant Roanoke Division Director. ARRL Field Services Manager Dave Patton, NN1N, made the appointment in consultation with ARRL Roanoke Division Director Jim Boehner, N2ZZ. The next new 2-year term for West Virginia Section Manager starts on October 1. Nominating petitions to run for this office are due at ARRL Headquarters on June 9. See the April issue of QST for more information. Xenia High School Closing on May 19 to Let Students Attend Hamvention: Xenia High School has announced that it will cancel classes on Friday, May 19, so students there can attend the opening day of Hamvention. The largest Amateur Radio gathering in the US will take place in Xenia for the first time this spring after being forced to relocate when longtime venue Hara Arena closed. A message on the high school's website says, "Xenia will welcome Hamvention to our community for the first time ever this year. Hamvention will be taking place May 19-21. Because this is the first year of Xenia hosting it, we want our students to have the opportunity to take advantage of all of the sessions associated with this program. We also anticipate a large number of people from outside the city coming to Xenia for the convention. We are excited about what Hamvention can mean to our city." Nayif-1 Amateur Radio Satellite Transmits Message from Dubai's Ruler: The Nayif-1 Amateur Radio satellite is beaming a message from Sheikh Mohammed bin Rashid, Vice President and Ruler of Dubai -- the first to be transmitted by the new satellite. AMSAT-NA has designated Nayif-1 as Emirates OSCAR 88 (EO-88). The message, in Arabic, says, "The renaissance of peoples, nations, and civilizations starts with education; and the future of nations starts at their schools." Launched on February 15, the Nayif-1 satellite carries a U/V linear Amateur Radio transponder for SSB and CW and a telemetry transmitter. 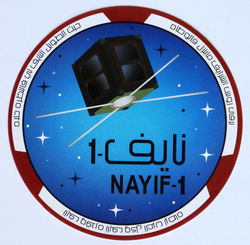 Nayif-1 was a joint project of the Mohammed bin Rashid Space Centre (MBRSC) and American University of Sharjah (AUS). It is the United Arab Emirates' first nanosatellite. Telemetry is on 145.940 MHz, 1.2 kb BPSK (FUNcube standard). The SSB/CW transponder uplink passband is 435.045-435.015 MHz, and the downlink passband is 145.960-145.990 MHz. Gulf Coast Amateur Radio Club Annual Hamfest Announces New Date: The Gulf Coast Amateur Radio Club has changed the date of its annual hamfest. The event now will take place on Saturday, April 8, in Hudson, Florida. Contact Michael Christopher, W2IW, for more information. Tad Cook, K7RA, Seattle, reports: Over the February 23-March 1 reporting week, sunspot and solar flux averages rose, while geomagnetic indices remained about the same, compared to the previous 7 days. Average daily sunspot numbers increased from 19.1 to 34.1, and average daily solar flux went from 78.5 to 81.3. The average planetary A index barely changed, from 11.3 to 13.1, and average the mid-latitude A index, measured in Virginia, went from 9 to 8.7. The numbers went in opposite directions, but were each barely changed. Predicted solar flux is 81 and 82 on March 2-3; 81 on March 4-5; 80 on March 6-7; 79 on March 8; 75 on March 9-14; 74, 75, 77, 79, and 80 on March 15-19; 82 on March 20-23; 80 on March 24-25; 79 on March 26; 77 on March 27-28; 79 on March 29-31; 75 on April 1; 72 on April 2-3; 73 and 74 on April 4-5; 75 on April 6-10, and 75 on April 11. Predicted planetary A index is 22, 16, 12, 10, and 8 on March 2-6; 5 on March 7-14; 10, 20, 15, 10, and 8 on March 15-19; 5, 8, 10, 15, and 8 on March 20-24; 5 on March 25-26; 12, 25, 20, 15, and 8 on March 27-31, and 5 on April 1-10. 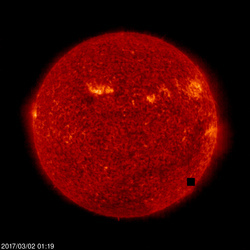 Sunspot numbers for February 23 through March 1, 2017 were 18, 27, 25, 35, 40, 39, and 55, with a mean of 34.1. The 10.7-centimeter flux was 83.3, 82.1, 80, 79, 82.2, 81.6, and 80.8, with a mean of 81.3. Estimated planetary A indices were 11, 20, 7, 2, 8, 8, and 36, with a mean of 13.1. Estimated mid-latitude A indices were 8, 15, 6, 0, 6, 5, and 21, with a mean of 8.7. The article, "ARISS Opens Window for Proposals to Host Contacts with Space Station Crew," which appeared in the February 23 edition of The ARRL Letter, contained an incorrect e-mail address to request additional information. The correct e-mail address is ariss@arrl.org.